I’m pretty cool with blemishes. I think it’s OK to be imperfect, as perfectly imperfect as you are. Imperfections and making mistakes are what make us human and unique, and learning to live with that is a life long work in progress. That being said, I still want to slap on a bit of concealer from to time. Just because something random’s happening on your face doesn’t mean you want to look at it all day long. So I’ve been testing out Correct and Conceal Red by ReCover. The brand is the brainchild of Annabel Jardella, a highly experienced make up artist who’s worked on top films including Gladiator and Sense & Sensibility. C&CR is strictly for facial redness, such as scars, rosacea and blemishes. 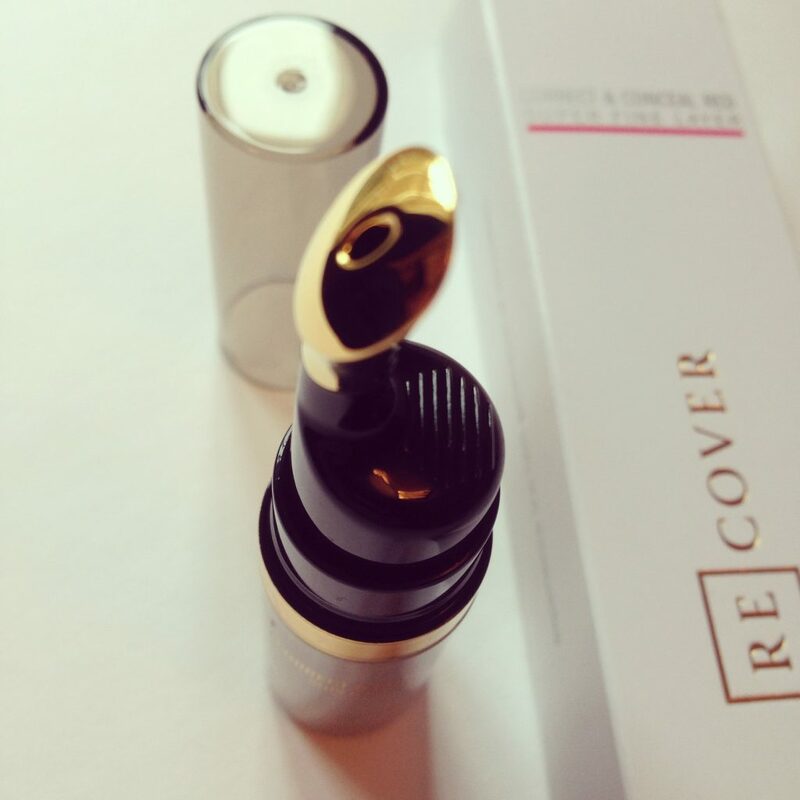 It’s not designed for under the eyes – ReCover have an under eye concealer coming out later in the year. (Until then I can recommend Korean brand Missha’s Under Eye Brightener which I bought recently and am very pleased with). The previous concealer I was using was Benefit’s Erase Paste, but the texture of that is very thick and it has a tendency to settle into lines. So the more lines I develop, the less keen I am on it. 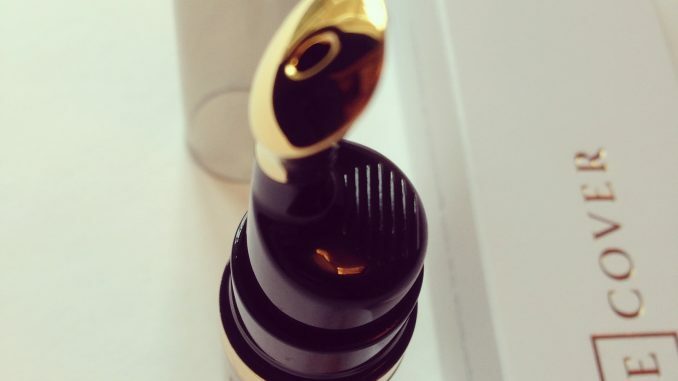 Whilst this is not cheap at £28 for 5ml of product, you only need to use a tiny amount at a time, so I think it’s quite fairly priced and should last a while. Just a note of caution – be very careful the first time you use it: pump it very, very slowly and carefully, like a safe-cracker, otherwise too much will come out at once. The major USP here is the 23 karat gold-plated applicator tip, which is designed for hygiene and ease of application. The product itself stays in an airless pump until it’s dispensed, which is more hygienic than a pot like Erase Paste or a brush like Touche Eclat. What I found worked best for me was a combination of applying it with fingers and then smoothing a bit with the applicator. 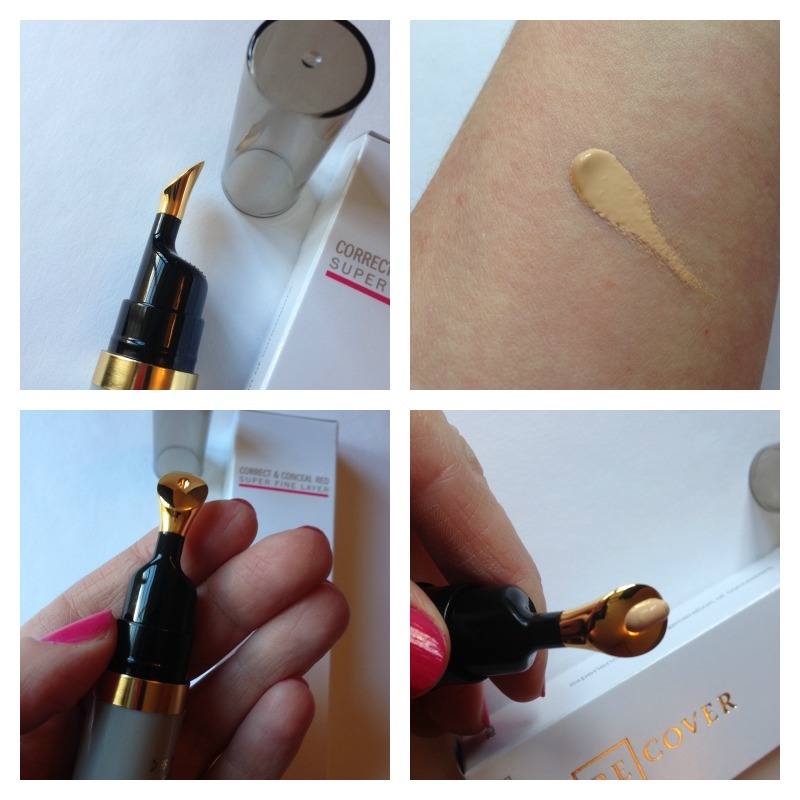 A very small amount goes a long way, and the golden applicator is nice and cooling on the skin. There are six shades in total, ranging from Very Light to Deep Tan, so there’s quite a lot of choice for fairer skins, though I would like to see more for darker tones. The shade you can see below is No.1 – Light, and there is an even lighter shade launching soon. The idea behind the yellow-based concealer is that it can conceal red without draining the natural colour from your face. So all in all I would say this is a great quality handbag staple for anyone with something to hide – in a good way of course!